We've curated a collection of uniquely crafted gift ideas to make this Father's Day memorable, special and above all, personal. Say goodbye to lost keys and wallets. 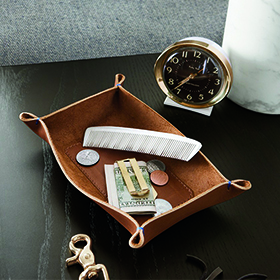 Our Brando tray is perfect for keeping important items all in one place. Crafted in Connecticut, this handsome tray is made of domestic, top-grain leather stitched with cobalt blue thread for a unique pop of color. Shop all trays and baskets. 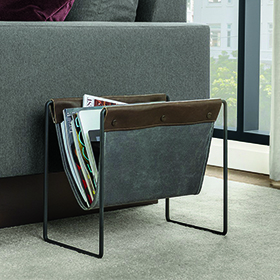 Give dad a place to store is favorite magazines with our Courier magazine sling. A powder-coated steel base is paired with a waxed cotton canvas and leather sling making Courier a timeless and durable storage piece. Shop all magazine storage. Our Mercantile tote is a great solution for a dad on the go. 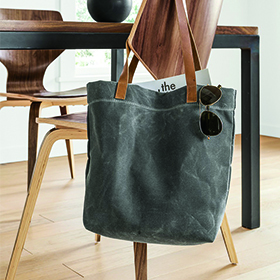 This American-made tote mixes a water-repellent waxed canvas body with rich domestic leather straps. The result is a spacious, sturdy bag that can go anywhere, from office to gym to grocery store. An inner pocket keeps your phone, keys and wallet within easy reach. Shop all totes and pouches. 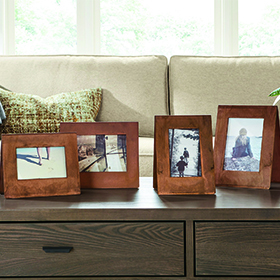 Give the gift of memories with a beautiful picture frame. Made in Minnesota, our Bend frames have an architectural quality that looks great from any angle. Shop all picture frames. 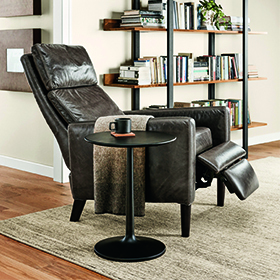 Let Dad sit back and relax in our Wynton recliner. Wynton has a soft sink-in leather seat and a semi-attached back and head pillow that encourage lounging. Its clean silhouette and tall legs give it a light presence, offering all the comfort of a recliner in a sleek look. Shop all recliners and lounge chairs.